Jim (not his real name) is a client who's having trouble with his job search. He graduated with a degree in Marketing in 1998 and worked in marketing positions for two large firms over the next ten years. In 2008, he was laid off with tens of thousands of other Americans. His job search did not go well. His mother had a contact that got Jim a job in customer service, a position he held for the next seven years. Now, he wants to look for work in marketing, not customer service. He has taken a part-time job in retail that will let him take his time and be selective in finding a position in the field he loves. The problem is his mom. She worked in customer service for 30 year and has broad industry contacts. She is pressuring Jim to take another call in a field he has no passion for. She says he needs to get a job as soon as possible. That advice is terrible. Jim's strengths are in marketing, and he enjoyed great success over his first 10 years in the field. I recommended that Jim does what he wants to do. The easiest job to get is often the worst one to take. I often direct readers to Seth Godin’s blog. Godin has that rare skill of capturing complex ideas in clear, concise language. Recently, he hit another home run. Rather than think of our careers as a single calling, we should talk about “caring.” Godin says we care about many things, and those forces should drive how we work. I agree. Moreover, caring lets us balance our work and our non-work lives. If a person’s work keeps her from other things she cares about, she probably should look for a new job. A good salary and the recognition from co-workers or clients are great things. But if that’s all someone has, life is, that person's life is – literally – all work and no play. On July 24, 1915, Western Electric, a company in suburban Chicago, held an outing for it workers. They were to be taken aboard the SS Eastland for a trip from Chicago to Michigan City, Indiana. The boat never left the Chicago River. It was poorly engineered and began rock. Frightened passengers shifted to one side of the boat, and it capsized. Of the 2,500 passengers on board, 844 drowned, several complete families. In an editorial to commemorate the 100 year anniversary of the this tragedy, the Chicago Sun-Times asked why this disaster never received the attention of the Titanic. It concluded that part of the reason is social class: "The Titanic carried many passengers in society's top tier, while most of the those who died in the Eastland were factory workers and their relatives, many of them immigrants." We value the lives more of the rich and famous. Robin Leach taught us that. Long before him, Edwin Arlington Robinson explored the same theme in his poem "Richard Cory." I've been to the section of Bohemian National Cemetery where several victims of the Eastland disaster are buried. 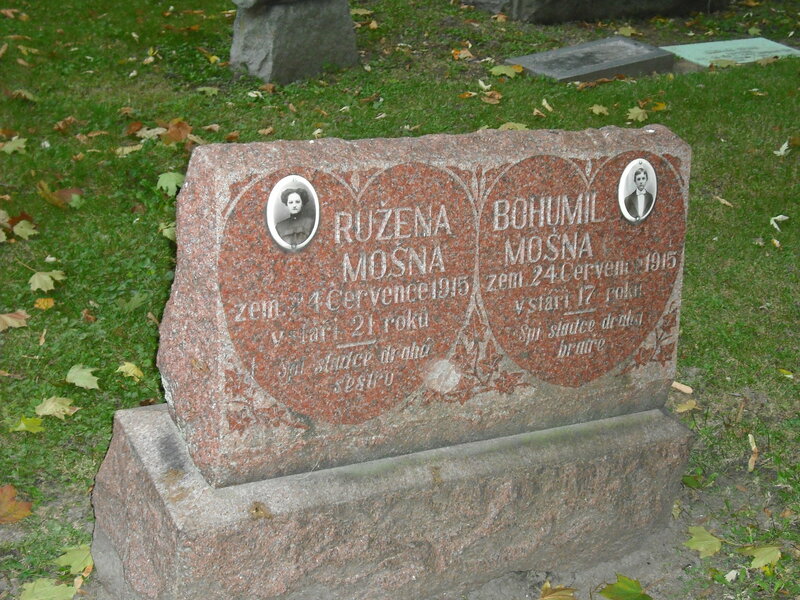 It's shocking to look at gravestones and see the names of parents and children who all died on the same day. As the Sun-Times pointed out, their lives had value and their deaths were tragic. We need to remember that when we hear politicians demean those who work low wage jobs, including the immigrants who often do work we exceptional Americans refuse to do. A client recently told me about a job she left because of an abusive boss. I asked her if she had any documents to back up her side of the story. She reached in a folder and produced a series of emails in which her supervisor used demeaning language and made claims that my client could prove to be lies. Just as importantly, she had several performance reviews from previous managers that contradicted her current manager's claims. The same principle holds true for documenting positive incidents you can use to back up your success stories. Keep whatever impacts your professional reputation. I need to add a warning to this advice. Some companies clearly state that you cannot copy/print such documents. If you try to use such documents in any kind of case against the company, there is a good chance that they could work against you. Worse still, the company could take action against you. What's an alternative if the company has such restrictions? Recruit co-workers and clients who will be a reference for new employers. Know your strengths and have a way to back them up.